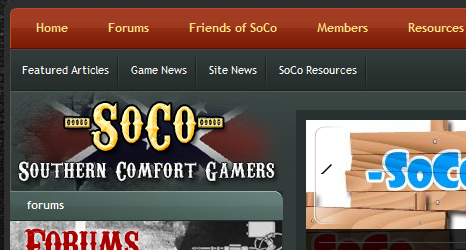 So the Southern Comfort Gamers have officially launched a website with forums and clan news and all that jazz. They’ve also got lots of SoCo Gamers wallpapers and Team Fortress 2 sprays for you to download. Pretty snazzy setup for a small gaming clan with no servers of their own.